Peter Yeadon (Professor, Interior Architecture) and his collaborators in Scotland are featured in a new exhibition at the Houston Museum of Natural Science. 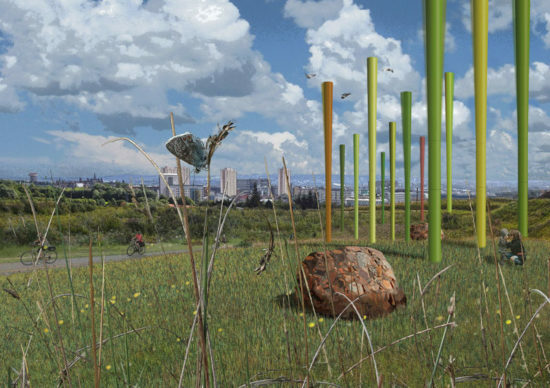 The exhibition includes, Wind Forest, a permanent art installation that uses placemaking and an innovative form of oscillating wind power to generate electricity at the scale of urban infrastructure. Capable of powering about 300 dwellings, the project will be an important part of the creation of park-like spaces within a new mixed-use development currently being planned for 100 Acre Hill, in Glasgow.